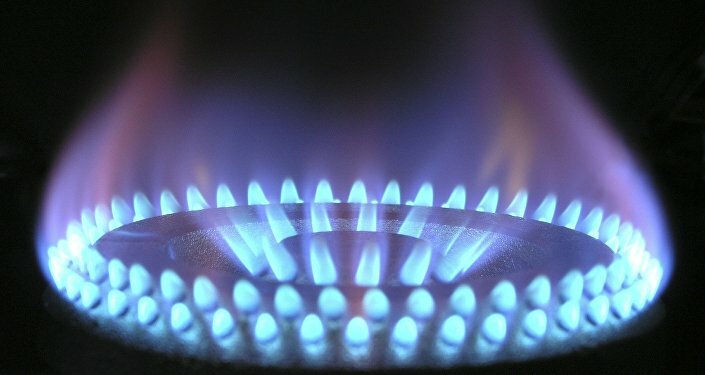 MOSCOW (Sputnik) - Potential US sanctions against Russian energy companies may be an attempt to boost US exports of liquefied natural gas (LNG), but they are unlikely to have a truly dramatic impact, analysts told Sputnik. The US State Department said Wednesday it would introduce new sanctions against Moscow by the end of August over the poisoning of former Russian spy Sergei Skripal in the United Kingdom. Washington said it had determined Moscow was behind the attempt on the life of Skripal, who, alongside his daughter, was found unconscious in the UK town of Salisbury in March. According to UK experts, the pair were exposed to a military grade nerve agent. UK authorities have also blamed Moscow, although Russian officials had strongly refuted all such accusations, pointed to the absence of proof and offered to participated in the investigation. The US sanctions are split into two stages: the first one concerns US exports of certain security sensitive goods to Russia, while the second stage may be implemented in 90 days and includes harsher measures, such as ban on almost all exports and imports. The European Union is unlikely to allow US sanctions to affect Europe's energy security, chair of Petroleum Geoscience University of Manchester School of Earth and Environment Sciences told Sputnik. "Given EU reliance on Russia gas, I doubt the EU would or could allow this to effect access to energy. They have no alternative at present at same price. But its an interesting point and probably reflects on why the US keen to adopt these sanctions to put more pressure on EU to buy US LNG… its all linked," Jonathan Redfern said. Russian Energy Minister Alexander Novak said in an interview with RT in July that LNG production and sales were likely to grow globally, but it was important to comply with fair competition rules and avoid the use of sanctions or similar measures. US Energy Secretary Rick Perry said in a July interview that neither the planned Nord Stream 2 gas pipeline from Russia to Germany nor the TurkStream pipeline, which is expected to run from Russia to Turkey, are commercially "viable." According to Perry, Europe was aware that "the United States is a supplier of LNG that they want to have." In August last year, US President Donald Trump signed new sanctions into law, which drew criticism from the European Union countries, as it might lead to European firms being punished over investment in Russian energy projects. When the bill was being debated in the US Congress last year, Austria and Germany issued a joint statement slamming the United States for pursuing its own economic interests linked to gas exports. Willy Olsen, associate fellow at the London-based nonprofit Royal Institute of International Affairs, said the impact of the new sanctions on Russian energy companies was not likely to be "dramatic." "I don't believe the impact on Russian energy companies will be that dramatic. They don't depend on US. Russia has alternatives who will expand their links to the Middle East and Asia. Gazprom's Nord Stream 2 is unlikely to have too much impact due to less urgency in European countries. EU, China, India, Malaysia, Korea etc will not be reacting of the developments in US," Olsen told Sputnik. CEO of the Austrian energy company OMV Rainer Seele said last week that Europe would only buy US LNG if the prices were competitive.